that contains some coconut cream. 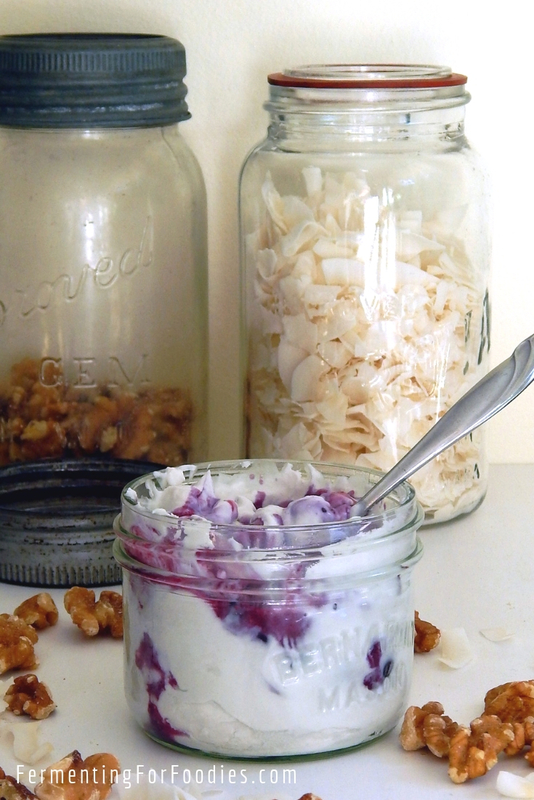 Coconut milk yogurt is so versatile. 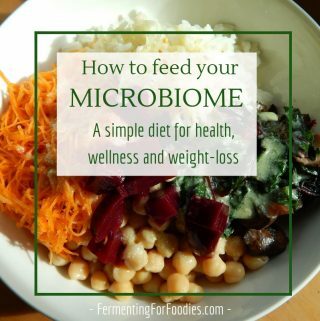 It is a great way to get more probiotics into your diet. Mix it into smoothies, or popsicles. Have it for breakfast with oatmeal, granola, waffles or pancakes. Serve it with Thai pumpkin curry soup or an Indian Mung bean curry. Use it for a dairy-free cream of broccoli soup. It’s also an good dairy-free substitute for vegan sour cream. Mix the coconut milk with the culture in a glass container. For mesophilic cultures (milk kefir), ferment at room temperature for 24 hours. For thermophilic cultures (yogurt), heat the coconut milk up to 108-110 F (40 C). Stir in the culture and maintain at that temperature for 10 hours. See notes for more information about the cultures. There isn’t a specific culture that eats coconut milk, so you can use any yogurt or dairy culture that you want. However, the culture won’t be happy in coconut milk, so you will need to use fresh culture for each batch of coconut milk. will make a nice thick coconut milk. Just be sure to refresh the kefir grains in milk after every batch of cultured coconut milk. 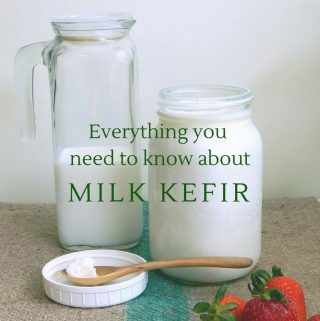 Kefir is great because it can be made at room temperature, however, it’s not OK for people looking to avoid dairy contamination. 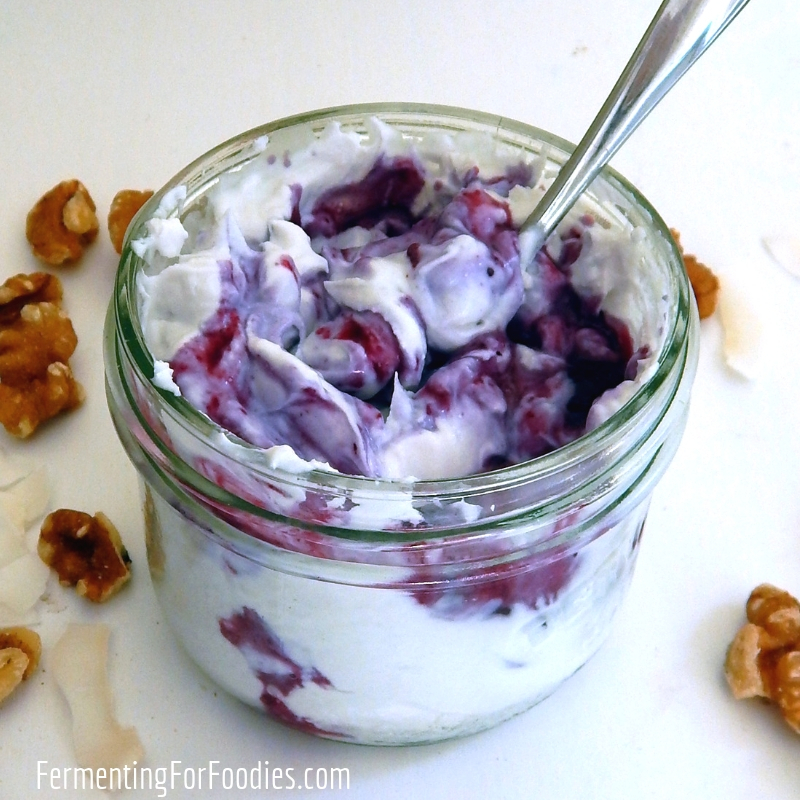 Vegan yogurt: can be used to make coconut milk yogurt. Just make sure to use a healthy and active culture source. 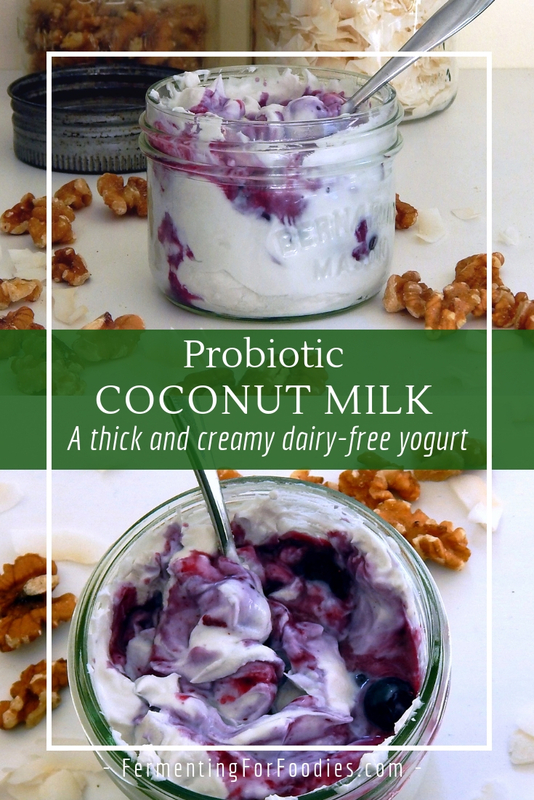 are ideal for anyone wanting to make consecutive batches of coconut milk yogurt. They are certain to provide a good, healthy culture. Currently I use a Brød & Taylor Bread Proofer & Yogurt Maker to make yogurt. However, here’s a post on how to make yogurt without a yogurt maker.